Objective With the noticeable growth in population, large-scale collective activities have become increasingly frequent. In recent years, a series of social problems have become progressively prominent due to crowding of crowds. In particular, frequent accidents occur in densely populated areas, such as scenic spots, railway stations, and shopping malls. Crowd analysis has become an important research topic of intelligent video surveillance. Crowd density estimation has also become the focus of crowd safety control and management research. 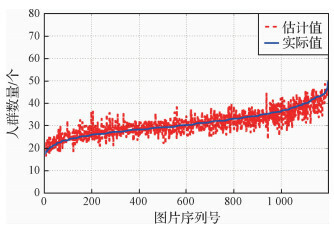 Crowd density estimation can help the staff to optimize the management of the statistics of the crowd in the current situation. Preventing overcrowding and detecting potential safety issues are important contributions of such a process. However, several of the available technologies are only applicable to a small number of people, and the environment is relatively static scene. Aiming at the visual detection of crowd density, uneven distribution, and occlusion crowd density, this study proposes a crowd density estimation method based on multi-level feature fusion network. Method First, we generate the feature map of each level using the convolutional pooling of the network. After five out of eight convolution layers are generated, a feature map that is 1/32 of the original size and 128 dimensions is generated and then perform three deconvolution operations. Thereafter, the convolutional layer features of the previous stage are fused together. Finally, the convolution layer is convoluted using a 1×1 volumetric kernel to form a density feature map of 1/4 of the original size. For the image, each convolution operation is an abstraction of the image features of the previous layer, and its different depths correspond to different levels of semantic features. Moreover, if convolution' shallow network resolution is high, the additional image details are found. However, if its deep network resolution is low, then deep semantic and some key features should be learned. Low-level features can be suitably used to extract small target features, whereas high-level features can be used to extract large target features. We solve the problem of inconsistent image scales by combining the feature information of different layers. Second, we use the public dataset to generate the corresponding density label map using our artificial calibration and then train the network to independently predict the density map of the test image. Finally, by integrating the density map, on the basis of the generated density map, we propose a quantitative method of crowd extent, and the crowd crowding is calculated through the reduction and combination of crowd spatial information on density map. Result The proposed method reduces the MAE to 2.35 on the mall dataset and reduces the MAE to 20.73 and 104.86 on the ShanghaiTech dataset. 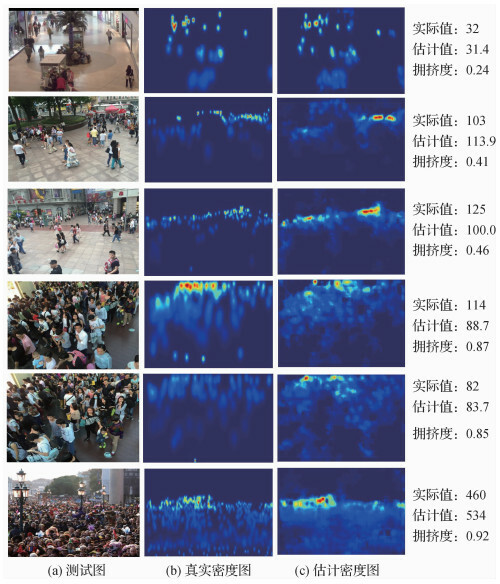 Compared with the existing methods, the crowd density estimation accuracy is improved, having a noticeable effect on the environment with complex number of scenes. In addition, the experimental results of different network structures show an improvement of the test results after adding the deconvolution layer compared with pure convolutional networks. 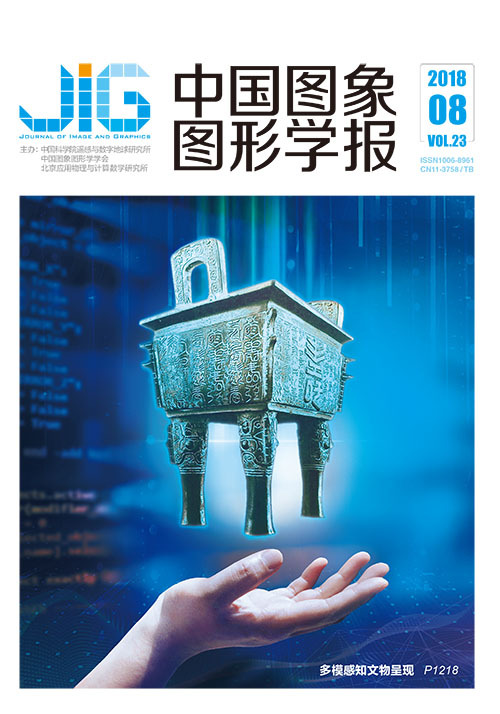 Under the complex scene of ShanghaiTech dataset, after the feature fusion network, the performance has further improved, especially the integration of 1, 2 features, which generates a more prominent effect. 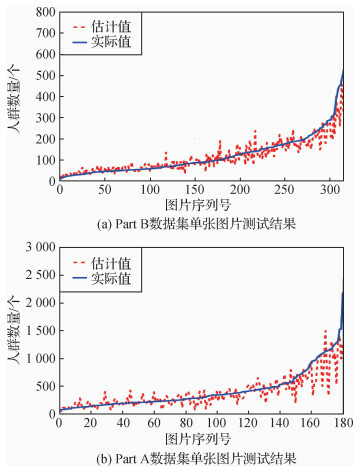 When the integration of the characteristics of the three layer basically does not improve the effect, the main reason is the level is too high and contains additional details. Moreover, several redundant information affects the generalization of the network capacity. The effect of network improvements is also not noticeable for the mall dataset with the standard scenario. However, when we use a pure convolutional network, the result is noticeable. Conclusion This study proposes a crowd density estimation method based on multi-level feature fusion network. Through the extraction and fusion of the features of different semantic layers, the network can extract the features of people in different scales and sizes, which effectively improves the robustness of the algorithm. Using the complete picture as the input better preserves the overall picture information, the feature space location information is considered in network training. This algorithm is more scientific and efficient when using the density map generated by forecasting in combination with the spatial information in the estimation of the number of people and the degree of congestion. 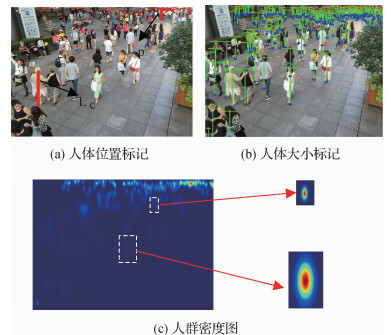 The algorithm also has the advantages in small scene constraints, high crowd estimation accuracy, and simple and reliable crowd congestion assessment. 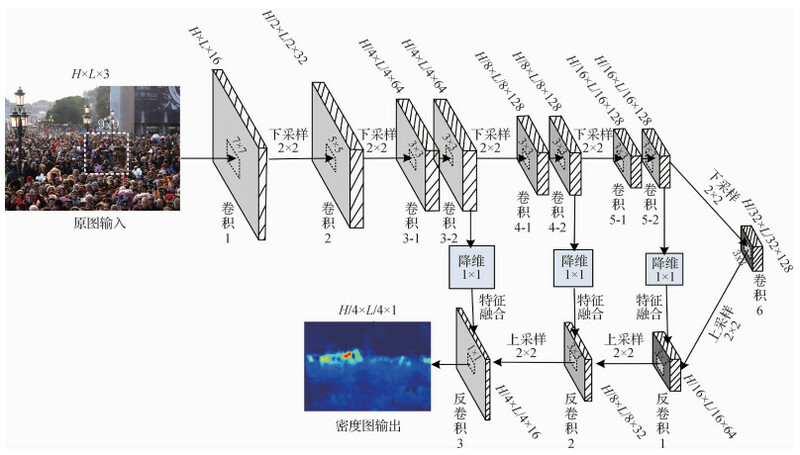 The effectiveness of the proposed multi-level feature fusion network and crowd congestion evaluation method is verified through experiments. Liu W, Anguelov D, Erhan D, et al. SSD: single shot multibox detector[C]//Proceedings of the 14th European Conference on Computer Vision. Amsterdam, The Netherlands: Springer, 2016: 21-37. Hinton G E, Srivastava N, Krizhevsky A, et al. Improving neural networks by preventing co-adaptation of feature detectors[J]. arXiv: 1207. 0580, 2012.